Recently, the Department of Health and Human Services (HHS) re-launched the federal Health Insurance Marketplace website, announcing new educational materials, resources, and a 24-hour consumer call center. 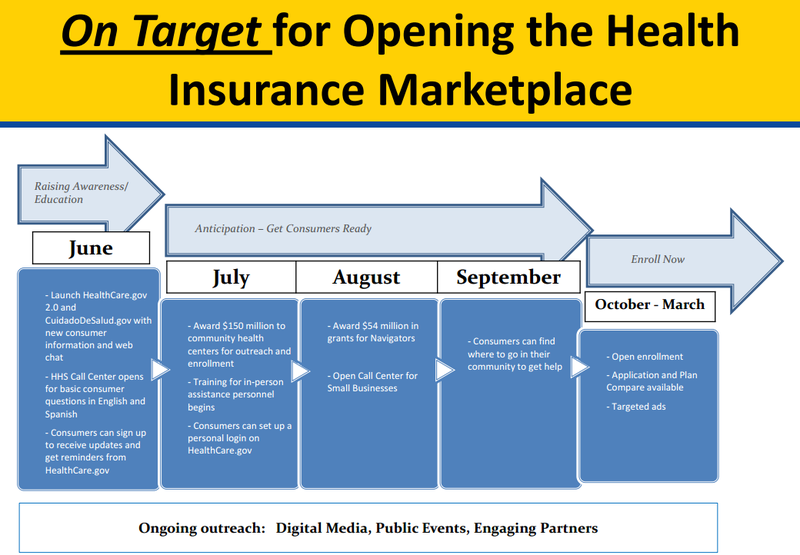 The state Health Insurance Marketplaces are scheduled to open October 1, 2013, with coverage beginning January 1, 2014. Over the next few months, HHS is expected to increase marketing and outreach efforts to the public. However, with 42% of Americans unaware of the Affordable Care Act (ACA), will these marketing and outreach efforts be enough to educate the public? The most important health insurance info at your fingertips—just answer a few quick questions and we’ll provide you with a personalized list of coverage options, content tailored to your situation, and a checklist to help you get ready. An easy-to-understand question and answer format, with content based on the most common questions we hear. A simpler site structure and powerful search features that make it easy to find what you’re looking for. A seamless HealthCare.gov experience on your mobile device, tablet, laptop, or desktop computer. A new 800 number you can call to get your Marketplace questions answered by a customer service representative, available 24/7: 1-800-318-2596 (TTY: 1-855-889-4325). Online chat, also available 24/7. Just look for the blue box on the lower right hand corner on most pages of our site. You’ll be connected to a customer service representative who can answer your questions in an online conversation. What do you think of the new website and timeline? Let us know in the comments below.